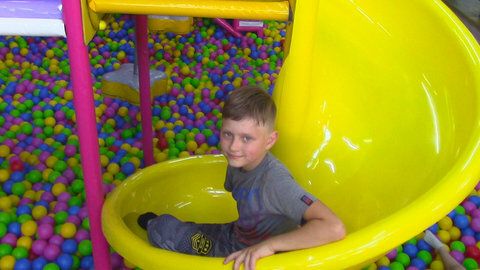 Igor and Arina enjoy family fun together by playing in the donut slide and other areas of the playground in this episode of the kids’ videos. Each one takes turns sliding down the slide while riding a donut. They also got to jump happily in the trampolines while songs like Skip To My Lou and London Bridge are playing in the background. Feel happier while watching other fun videos of the kids by going to SeeZisKids.com.